With his movies being ones we grew up watching and loving, Jackie Chan is perhaps the quintessential Asian action star that many look up to. Mixing wit, action and humour, the Jackie Chan of today is a silver screen hero who, three months ago, received his highest honour yet – an honorary Oscar. Here are some lessons we can learn from him. That journey to receiving an Oscar isn’t an easy path – only coming after spending 56 years in the film industry, being in over 200 films, and breaking lots of bones. For years, Chan was chided by his father about the reasons as to why he hasn’t won an Oscar despite being so decorated with awards in other parts of the world. He simply brushed it off, saying that because he only made action-comedy movies, he would never be in the running for that award. It was only after he visited friend and fellow Hollywood star, Sylvester Stallone’s home where he got a hands on with an actual Oscar trophy did it change his mind about wanting one. After that day, he continued to make film after film in Hong Kong and Hollywood, and was eventually being recognised for his contributions. Having worked as a stuntman to Bruce Lee, many view Chan as his successor in the post-Bruce Lee era, bridging the gap between Hollywood and Hong Kong. But that’s where the similarities end. The last thing Chan wanted to become was “the next Bruce Lee”, even after getting words of encouragement from the man himself. So naturally, he started pursuing his own signature style of martial arts and action films, eventually carving out his own brand and name. Last but not least, we definitely can’t forget the people behind each and every one of his films – the Jackie Chan Stunt Team. 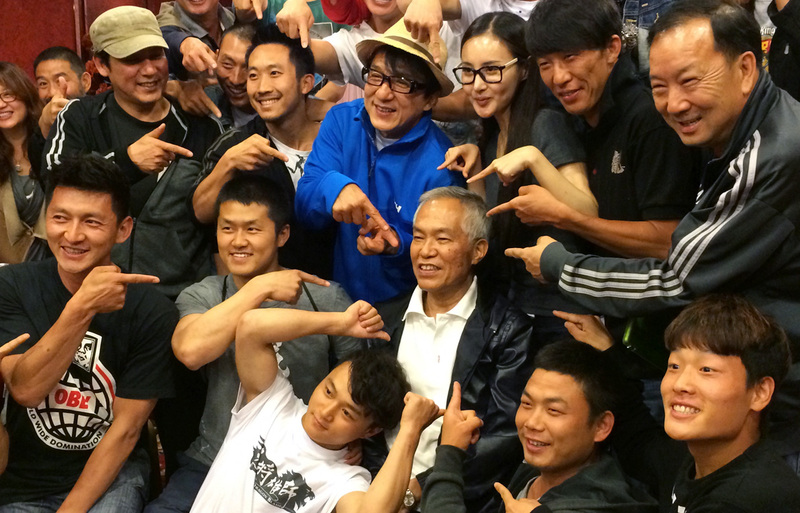 For 40 years since 1976, they have been by Chan’s side film after film, and the team’s now in their 8th generation. Throughout his career, Chan has seen many of his ventures folded, but his stunt team will always somehow pull through despite the difficulties faced – and this is because he treats his stuntmen as family, as brothers. In a recent episode of a Chinese variety show which Chan appeared on, a tribute videos from all of his ex-stuntmen was shown. In each of their tear-filled testimonies, there was a common theme all the way – about how he treated them like they were more than just employees, because he was a true embodiment of martial arts, loyalty and brotherhood. A sentiment that he expects each and every stuntmen to abide by, because if not, Chan will simply bar them from joining. Then came stories about how in the early days, despite being the boss, he would split the earnings with his assistants equally, and he would even help them settle the down-payment for a home and even a car, despite not being financially well-off at the start. And it is not just the material things. Simple gestures such as giving his assistant a jacket to brave the cold in spite of him just wearing a thin undershirt is just one example of how he helps others first before himself. 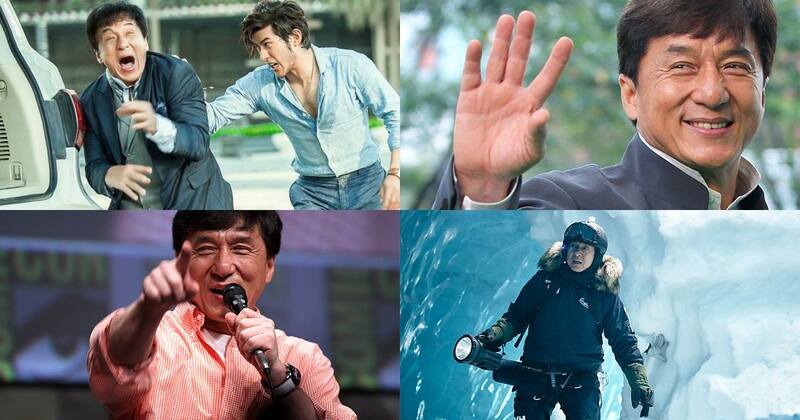 Despite all his accolades, there are no signs of Jackie Chan slowing down. With six movies set to come out this year alone (including some voice work in a LEGO movie), expect to see more of Jackie Chan and his stunt team on the big screen soon.